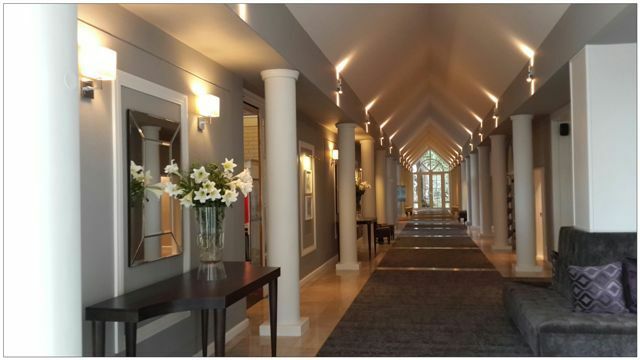 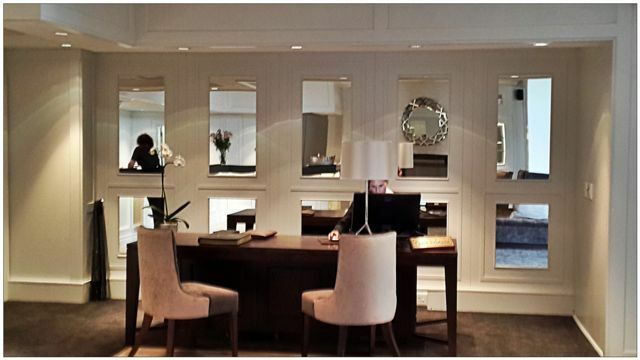 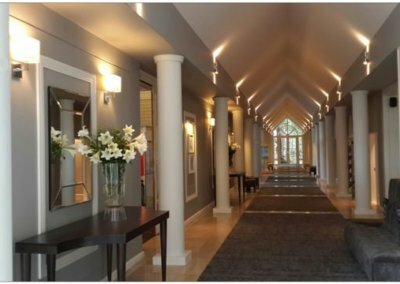 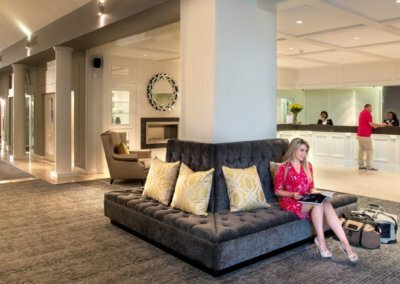 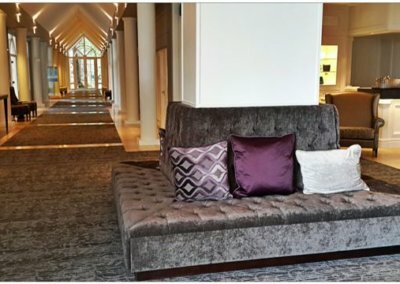 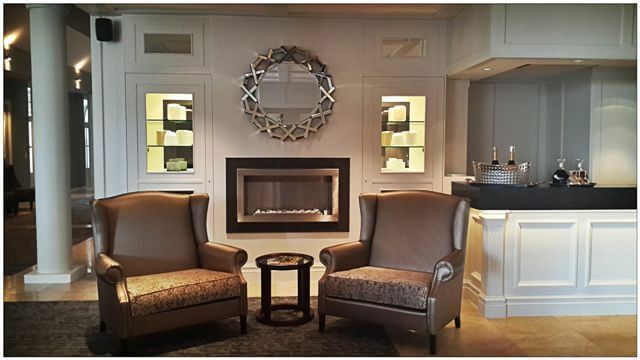 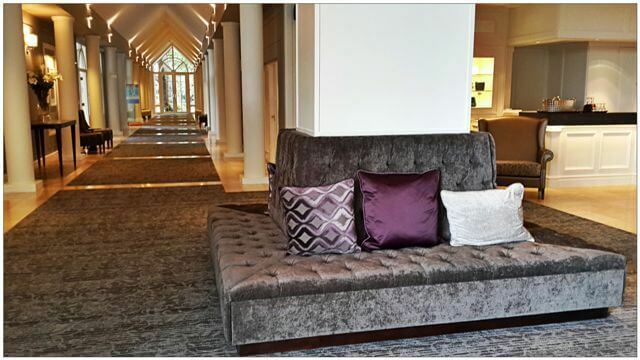 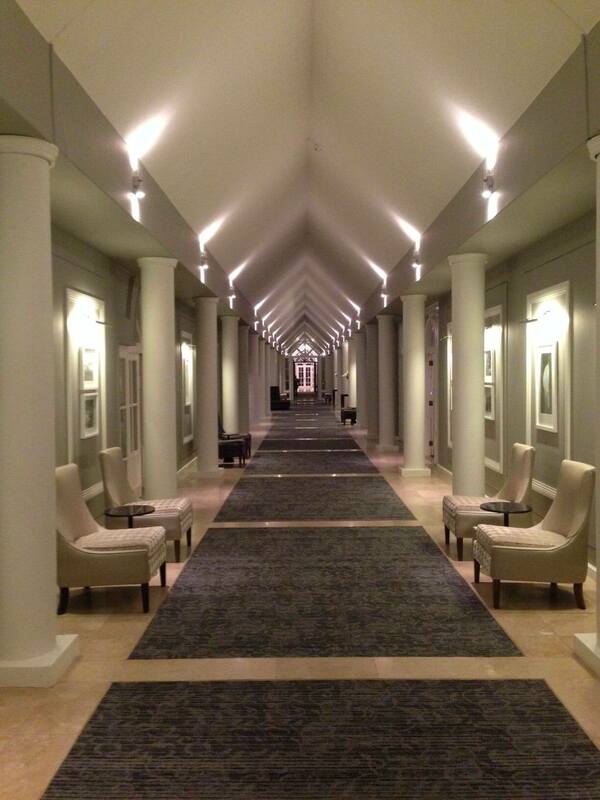 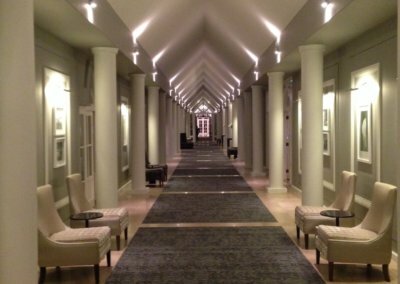 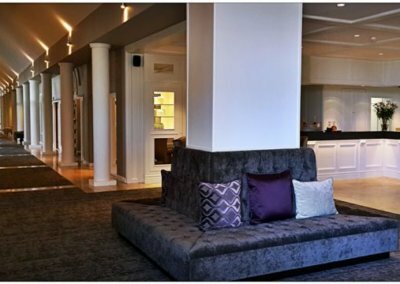 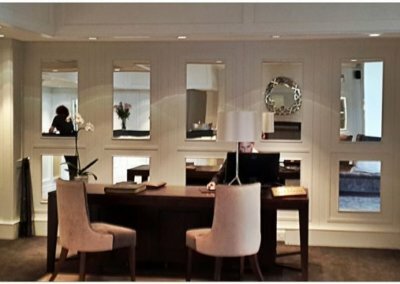 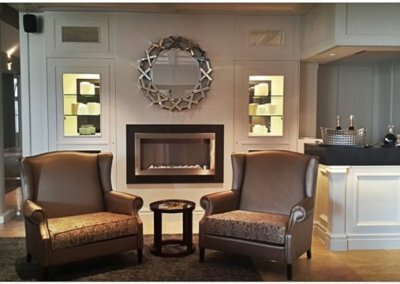 A complete recycling of existing with the addition of a reworked, re-planned space gives the visitor and user a complete new Fancourt experience. 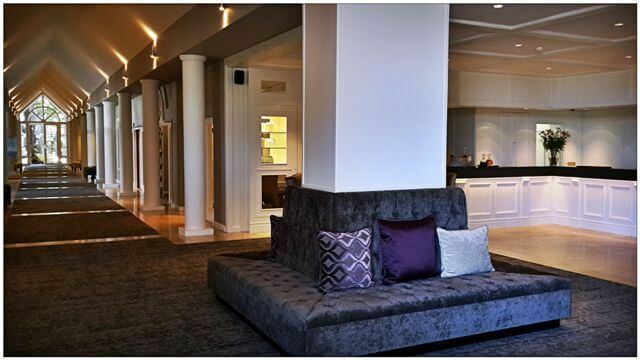 Gone is all the clutter, dark heavy wood paneling and dated carpets. 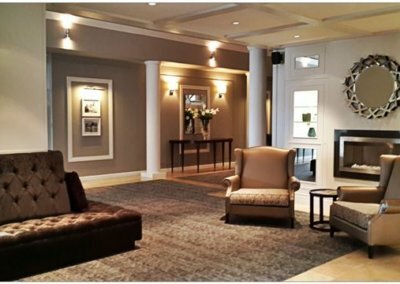 In are fresh clean “white-grey” finishing’s, new artwork that tell a story, beautifully laid Interface bespoke carpets to suit the design. 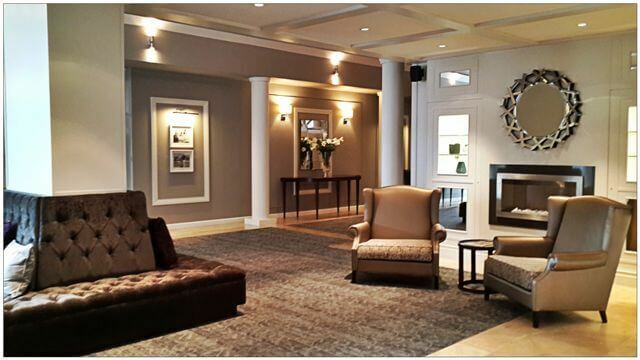 New lighting works well to transform this once dark, dated space into a fresh friendly experience.